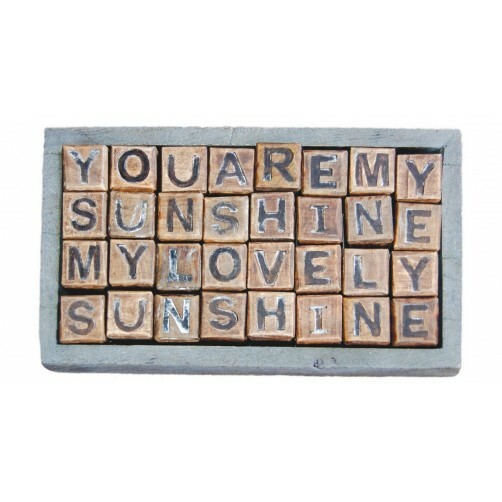 Handmade and distressed removable blocks that write out 6 different messages: Do you believe in always. Your heart is like the ocean. You are the apple of my eye. Come with me my love to the sea. Who knows how long I've loved you. 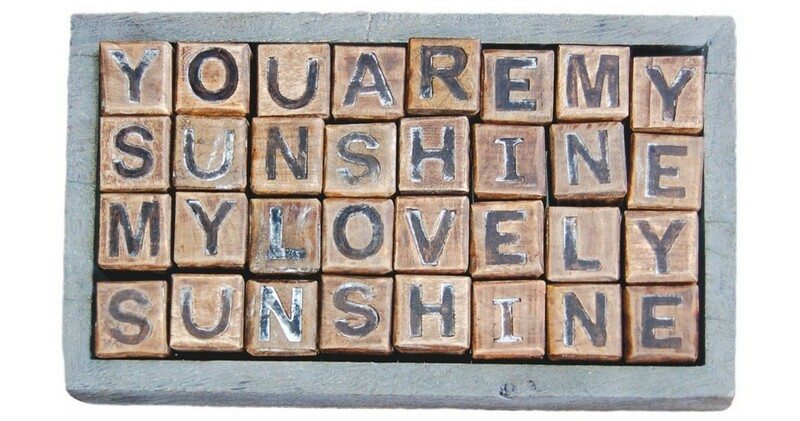 You are my sunshine my lovely sunshine.